According to the Mayan calendar Tzolkin, 17 June 2017 is a day of the Red Castle with major energy Yellow Seed and a day of the Blue Spectral Storm Year (26 July 2016 - 25 July 2017). The lunar crescent in the center symbolizes the energy RED MOON. 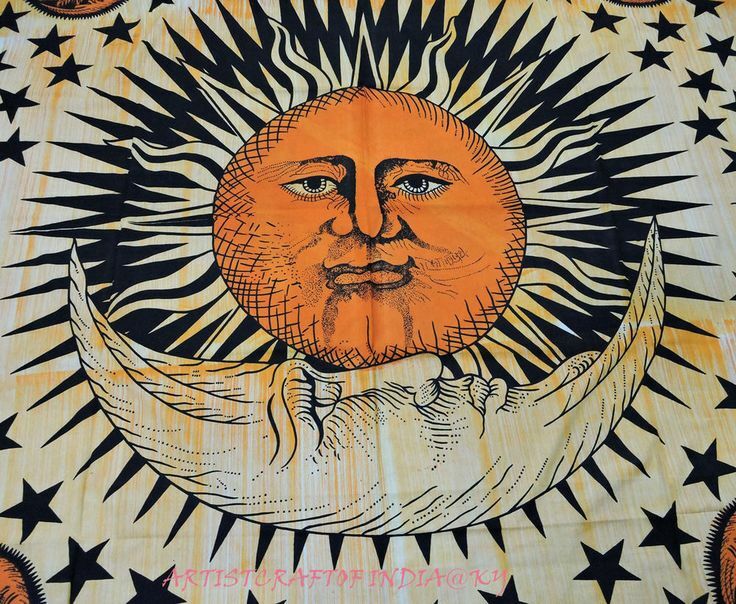 The whole formation depicts a sun, symbolizing the energy YELLOW SUN. 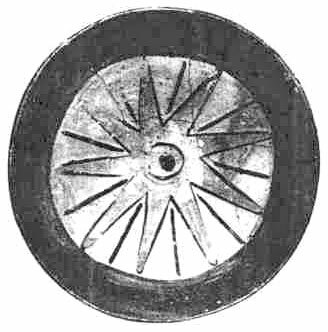 The outer ring of solar rays resembles also a rotating wheel, which gives us the feeling of Activation. On this way is symbolized the energy BLUE STORM (Activation, Catalyzation of the processes, Energy, Self-Generation). The whole formation resembles also a Flower. On this way is symbolized the energy YELLOW SEED - the energy of Flowering. Each solar ray has the form of a quadrangle with 4 sides. Here the number 4 symbolizes again the Solar Seal Yellow Seed - Solar Seal No. 4. The Sun has 18 rays and each ray depicts a quadrangle with 4 sides. 17 June 2017 is a day with Kin 25 in Tzolkin. 18 days later, 5 July 2017 is a day with Kin 43 in Tzolkin. Kin 43 is a day with the Solar Seal Blue Night and with Tone 4, in the Yellow Sun wavespell. in 18 days is the 4th day of the Yellow Sun Wavespell, this is a day with Tone 4. Heartfelt thanks to the authors of this beautiful formation and to the photographer Mr. GYRO!! Of the eight future comets predicted by crop circles, one will be striking the Sun. We see here the Sun Comet positioned to strike a highly active Sun which will cause an enormous coronal mass ejection. Earth will be seriously affected by the ejection, perhaps as prophesied in the �Great Warning� described on page 188. (See T257, pg. 111, T982, pg.115, and T1056 and 1058, pg. 116 of my free ebook for a few circles describing the impact.) The crescent indicates the comet has affected to some degree the Van Allen belts of a large planet, probably Jupiter (T294 and T288, pg. 71). The Sun image here resembles a circular saw which presumably cuts the history of our era into two halves - before and after the Sun Comet impact. 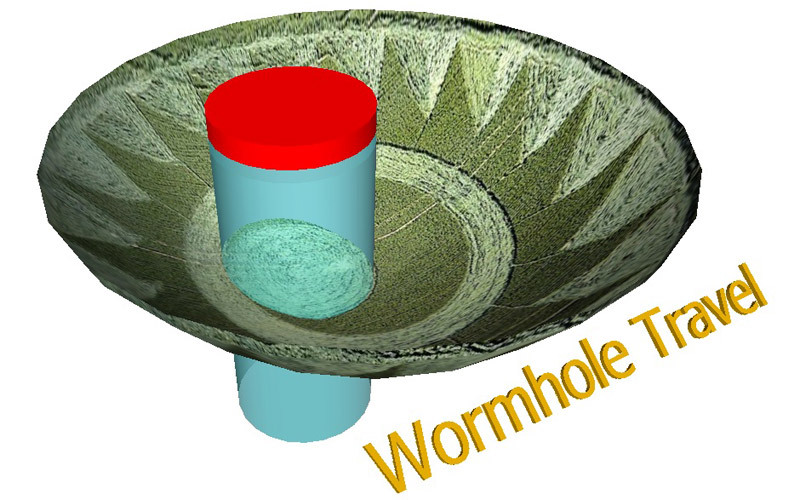 And to reinforce the idea, we see curves outlined on the central white disk, as suggesting a Wormhole or contours of a Space-Time distortion caused by additional gravitational factors. And as we are in a phase of "cabalistic" crop circles, the number 18 here makes all the difference. And speaking of meetings in heaven and on Earth, tomorrow, the 18th, by the lunar Jewish calendar, is the 24th day of Sivan, the month of harvest, a date which relates to the prophecy of Haggai and the Exodus of the Babylonians rescued by the Anointed King Cyrus and led by the two witnesses and leaders, Joshua High Priest and Zerubbabel the governor, to begin the Great Rebuilding. The reign is solar, the priesthood is lunar. This is implied here. Today, this means on June 17 and the day the formation was found, we had a dialog amongst a small group of people in the Netherlands. We discussed how we should apply the tzolkin-calendars nowadays and in the near future. We agreed upon the fact that there are 3 counts that signify the �male�(Quich�), the �female� (Dreamspell) and the �child� (Cosmic)). We also agreed that the 3 Tzolkin-counts have been synchronized since February 29, 2008, but we were still looking for an answer on the question how we should deal with the leap days (February 29) in the years after the leap day in 2012. 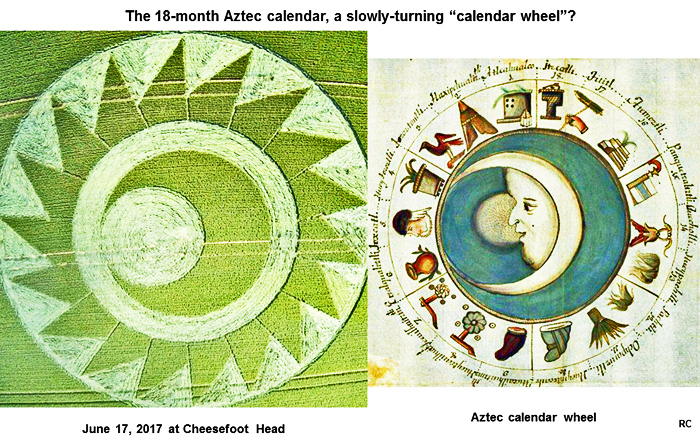 Quich�: 4 Etznab (flint/mirror); note: it was not 5 Cauac as the synchronization implied that one day was skipped on the leap-day in 2012; this happened only once. March 1, 2012, half waxing moon: from that day onwards the synchronization with the Tun-cycle was a fact (leap days should not be ignored any longer, as still was the case on the day before, February 29). 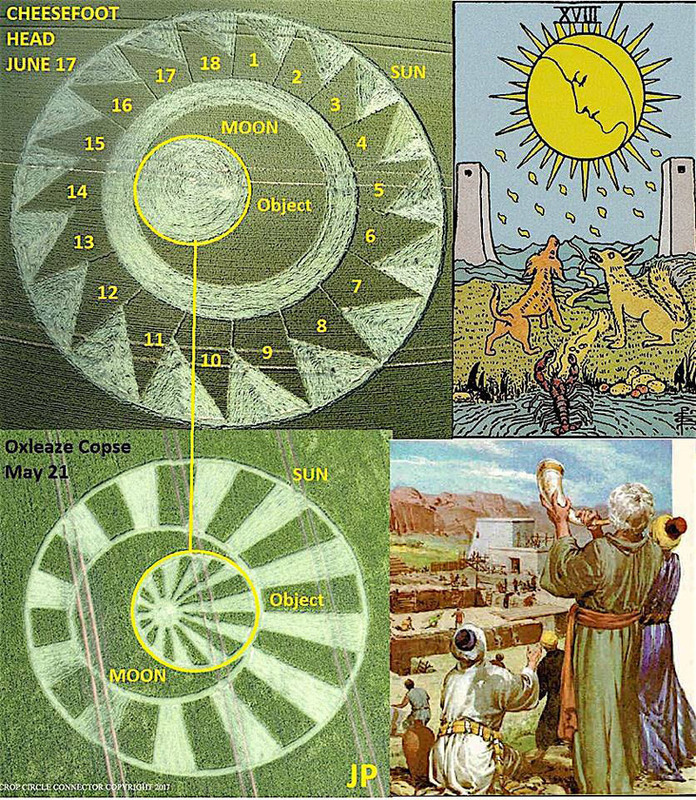 Interestingly, the 18 cogs still seem to have another meaning: when counting 27 � 18 weeks back into the past (from June 17), we �arrive� at February 23, 2008 a day with the same day-signs as on the formation (Dreamspell/Cosmic) and one day after a day 7 red dragon on the wave of the blue eagle (Cosmic count); the days 7 dragon are always important regarding the birth of a new principle. The wave of the blue eagle ended on February 28 and 29, 2008. Occult means to Hide. We learn the meaning and demonstration of the world Occult through Gematria. 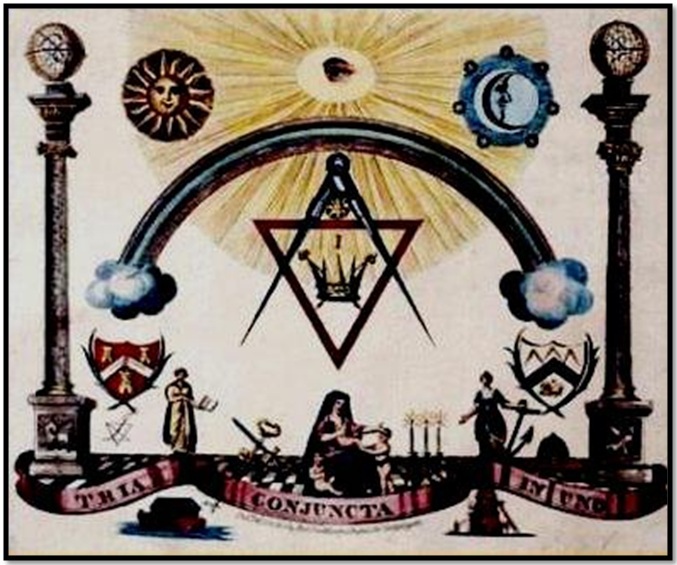 The Moon Occults the Sun In Eclipse is the Occult, (The world seen the world not seen on top of each other) In old days an Eclipse was called the Divine Eye or Sun Eye. It is not accident that the Human eye looks like an eclipse. There are no accidents when it comes to the Macrocosom and Microcosm of the Universe. The Sun Moon relationship has always been part of the Duality of Opposites. 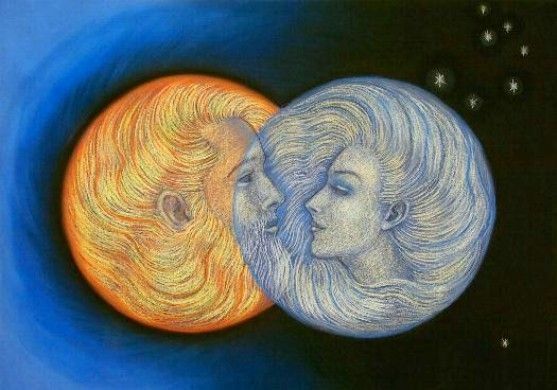 The Sun is represented as Male and the Moon is represented as Female. The Sun is always on the Right and Moon is always on the Left. 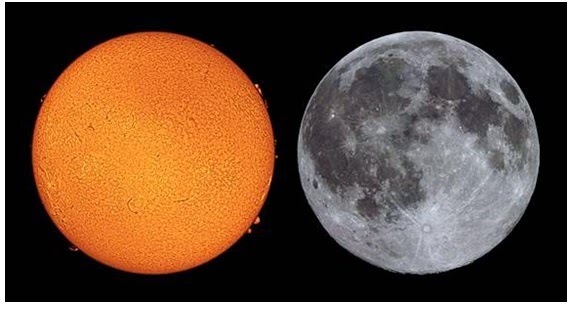 When viewed from the Earth the Sun and Moon are the same size. 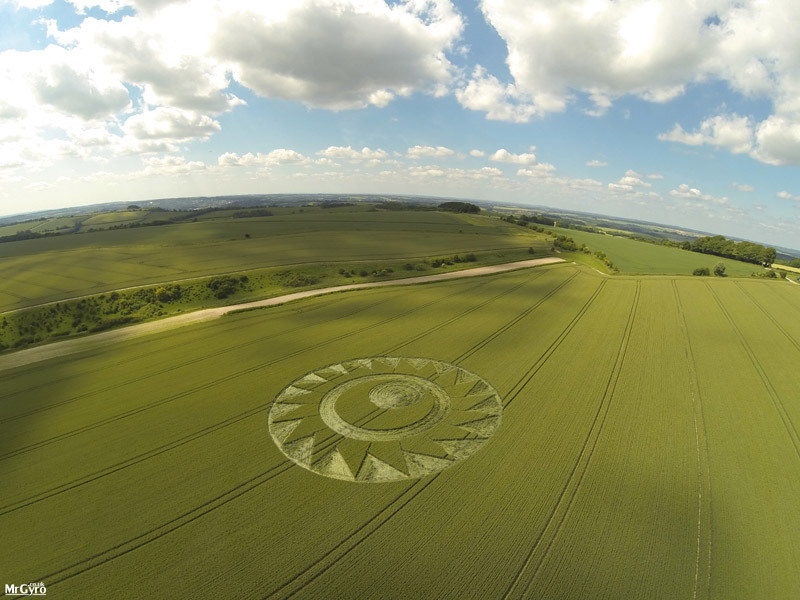 Why then a Crop Circle to remind us of the Solar Eclipse? 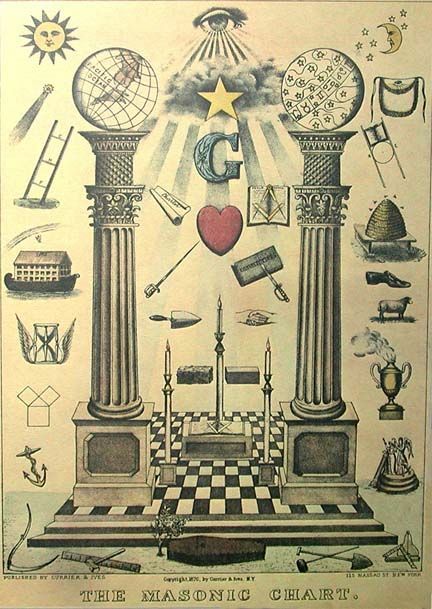 Perhaps to remind us of the Oppisites of the Univese and how we must balance them to reach a Higher State of Being as shown on a Masonic Board. The Romanitc way of looking at Solar Eclipse is the Sun and Moon are Lovers. The Sun God and Moon Goddess Get to meet again!